Trichoptera or caddisflies are a group of insects closely related to moths (Lepidoptera). They are true aquatic insects. They are best known for the cases, capture nets and retreats constructed by their aquatic larvae. The larvae are ubiquitous, occurring in all types of freshwaters. They feed on algae, fungi, detritus, fine organic matter or are predators of other insects. The adults emerge from the water and fly into the nearby vegetation. The species are most diverse in fast flowing rivers and streams. They are of primary importance in nutrient cycling and secondary production. The larvae are food for many fish species. The species can be used as biological indicators of the water quality and, thus, are suited insects for water monitoring programs. The taxonomy and ecology of Trichoptera species in temperate regions are well studied. In the Oriental Region, Java is one of the best known islands. To date, about 146 species are known to occur in the island. However, the fauna of existing National Parks remained nearly unexplored. 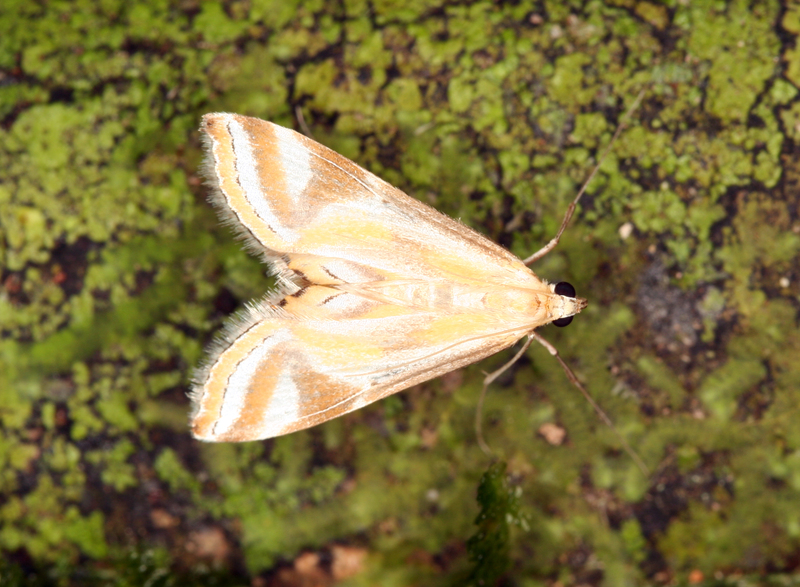 Acentropinae or water moths belong to the Pyraloidea, Crambidae, a family of Microlepidoptera. Their larvae are fully aquatic in contrast to the overwhelming majority of Lepidoptera. The larvae feed on algae and water plants. Rock-dwelling species in rivers live under silken tent-like retreats, or in tunnels reinforced by sand grains and small stones. Standing water species live within portable cases constructed of small pieces of leaves bound together by silk. Some species are economically important pests on rice. The moths are terrestrial and fly in the vicinity of the rivers. It is a comparatively small group of micromoths showing the highest diversity in the tropics. To date, 25 species are known from the island. The number of Javanese species is estimated to be over 40.
providing taxonomic keys for identifying families and genera.